This conservation of momentum example problem illustrates the principle of conservation of momentum after a collision between two objects. 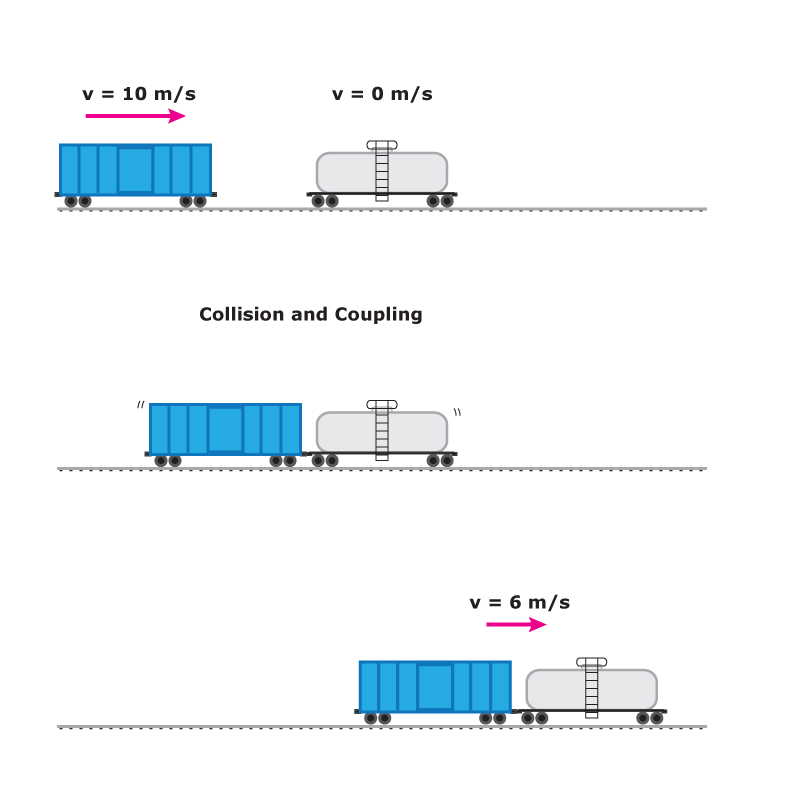 Consider a 42,000 kg train car travelling at 10 m/s toward another train car. After the two cars collide, they couple together and move along at 6 m/s. What is the mass of the second train car? In a closed system, momentum is conserved. This means the total momentum of the system remains unchanged before and after the collision. Before the collision, the total momentum was the sum of the momentums of both train cars. Add these two together to get the total momentum of the system prior to collision. The velocity the new pair of cars is traveling is 6 m/s. Because momentum is conserved, we know the total momentum of the cars after the collision is equal to the momentum prior to the collision. The mass of the second car is equal to 28,000 kg. Remember, the momentum of a system is conserved. The momentum of the individual masses may change, but the net momentum of the system does not change. how did it became 40,000 kg when the last given is 42,000 kg? Fixed the math to reflect the original blue car’s mass of 42,000 kg.